Since August 2015 I've been offering decanted samples on Reddit and Facebook - in August 2018 I began also offering them on eBay. Why? Because for some people this is a much more cost effective way to try new products than purchasing the full sizes right off the bat. What's A Decant? A decant is product taken from a full size and transferred to a smaller sample size container. All my supplies are washed in hot soapy water, then rinsed in hot water, then rinsed again with an alcohol mixture to kill any germs. The products I make samples from are only used with a pump, clean spatula, or dropper so they are always kept sanitary. 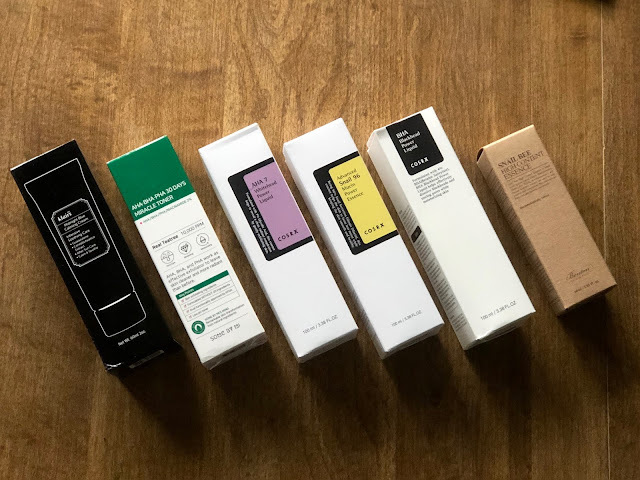 This week I've restocked items from Stratia, Holy Snails, Some By Mi, Cosrx, Klairs, and Sulwhasoo. I have a full listing on Reddit complete with items, sizes, and prices - but if you do not have a Reddit account to comment you can use the contact form on the right sidebar of this blog to send me a list of items you're interested in. I am based in the US but can ship internationally. I also accept PayPal, Venmo, or Square Cash as payment - as well as invoicing that can be paid via credit/debit card.